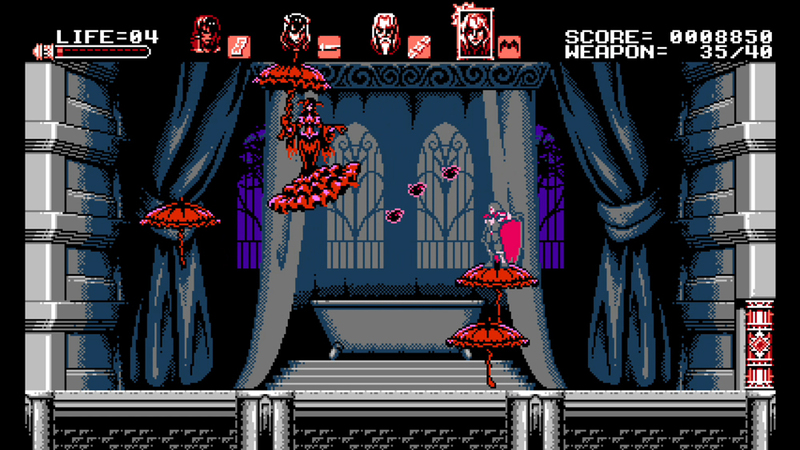 Since Shovel Knight blessed us almost four years ago, my favorite art direction in gaming has been “NES graphics that could never have been done on an actual NES.” I mean this is plumb beautiful. Not only does it look old-school, but Curse of the Moon plays old-school as well with two selectable playstyles: Veteran and Casual. Veteran brings a difficulty similar to those old Castlevania games including enemy knockback and limited lives while Casual features unlimited lives and no knockback. Individual characters will have their own health bars but not all bars are equal. 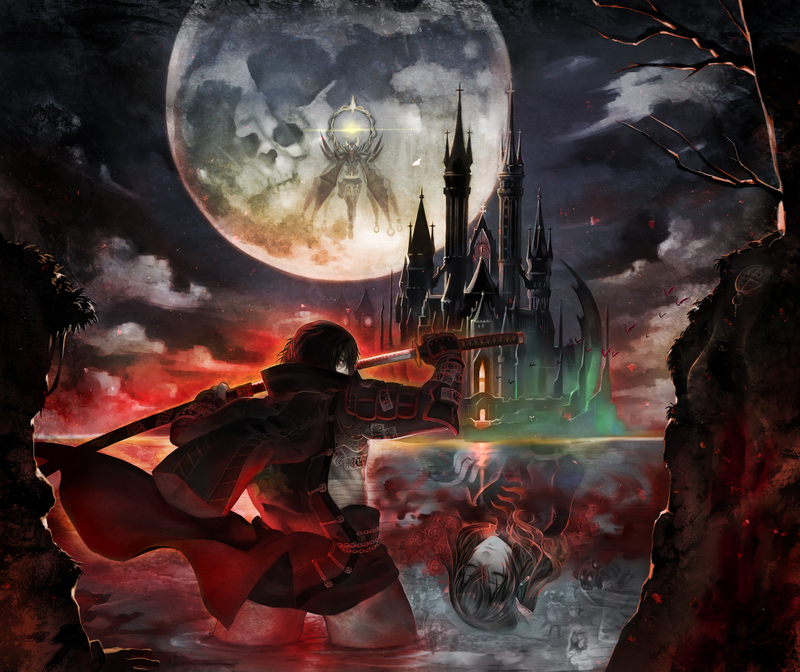 Bloodstained: Curse of the Moon will release on Switch, PlayStation 4, Xbox One, Steam, 3DS, and Vita on May 24 for $9.99. 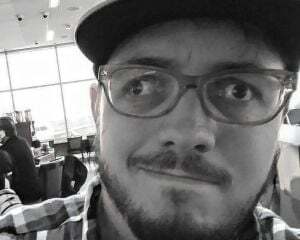 If you backed the game like I did, log into your Fangamer pledge page now. Backers above a certain threshold will get one download of the game for free on the console of their choosing.